Cars will be continuously digitalized. In addition to driverless vehicles and their integration into various smart home concepts, cars are now expected to be able to pay for different services autonomously. Thanks to the Blockchain technology. Blockchain is basically a decentralized protocol for transactions between various parties. The transactions include any kind of information, not just financial data. German car parts maker ZF Friedrichshafen AG together with innogy Innovation Hub and UBS (Union Bank of Switzerland) have recently introduced their new project: a Blockchain-based mobile wallet for electric cars. The Car eWallet was developed to simplify battery charging ‘on the go’. A field test is the objective for 2017. Currently it is unknown when exactly the Blockchain eWallet will be officially released and for which e-car models it will be available. Our vehicles are expected to reach a totally new technological level. Due to the Car eWallet system, money can be transferred without the assistance of banks and credit card companies directly between providers and customers. The advantage: payments are completed immediately and it doesn’t take several days until the money appears on the account. This innovation will probably supersede banks and even stock exchange one day. The Car eWallet is embedded in the electric control unit of the driving vehicle and connected with a private Blockchain. The eWallet can be managed and charged using PC or a special smartphone app. The underlying idea is that autonomous vehicles make individual decisions: where to charge and what kind of services to use. So they interact with services autonomously. The most important feature of the system is the improved usability. In fact, the user decides, how much the eWallet can spend automatically. It helps to save time and avoid inconveniences when driving. A further problem that ZF is going to solve is the confusing payment system at electric charging stations. Different charging stations accept different payment systems, sometimes just their own charging cards. The eWallet, however, enables standardization: a payment is made automatically as soon as the vehicle is plugged in. The Car eWallet provides a high level of security. All the data are available on several computers at the same time, so it can be hardly manipulated. Every user is identified by an individual code consisting of numbers and letters. The technology provides further interesting payment options for the future. For example, automated toll and parking space fee payments. Additionally, it can be implemented for Carsharing between private persons. Using the Car eWallet, the money will be debited automatically without confirmation. Finally, the Blockchain technology allows connecting with intelligent energy supply systems. 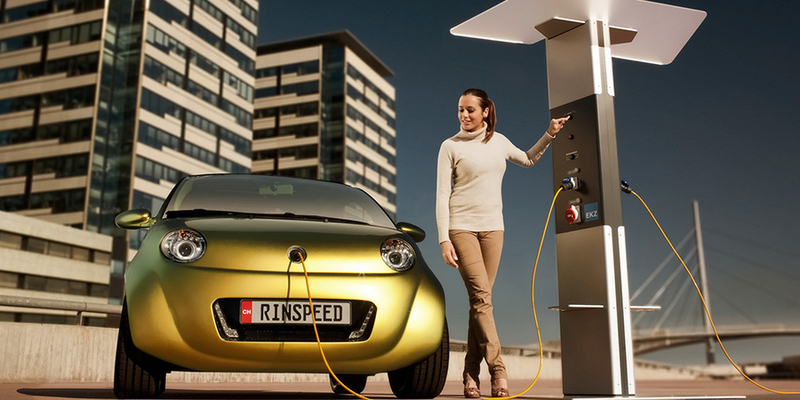 So e-cars can charge electricity as soon as the renewable energy is available in a grid. Thereby, the unused energy from the car battery can be fed back into the grid.